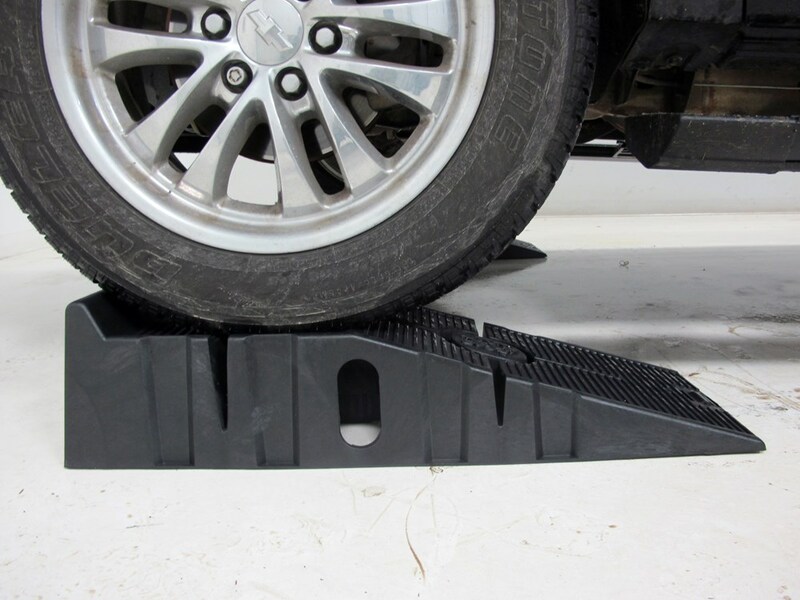 These strong ramps have non-skid feet that grip the ground as you drive-up them to prevent them from sliding. Raised bumpers and a treaded surface ensure safe use. Durable polypropylene construction. Works with tires up to 9" wide. 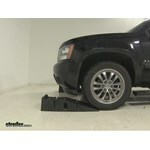 Call 800-298-8924 to order FloTool car ramps part number FT11909MI or order online at etrailer.com. Free expert support on all FloTool products. 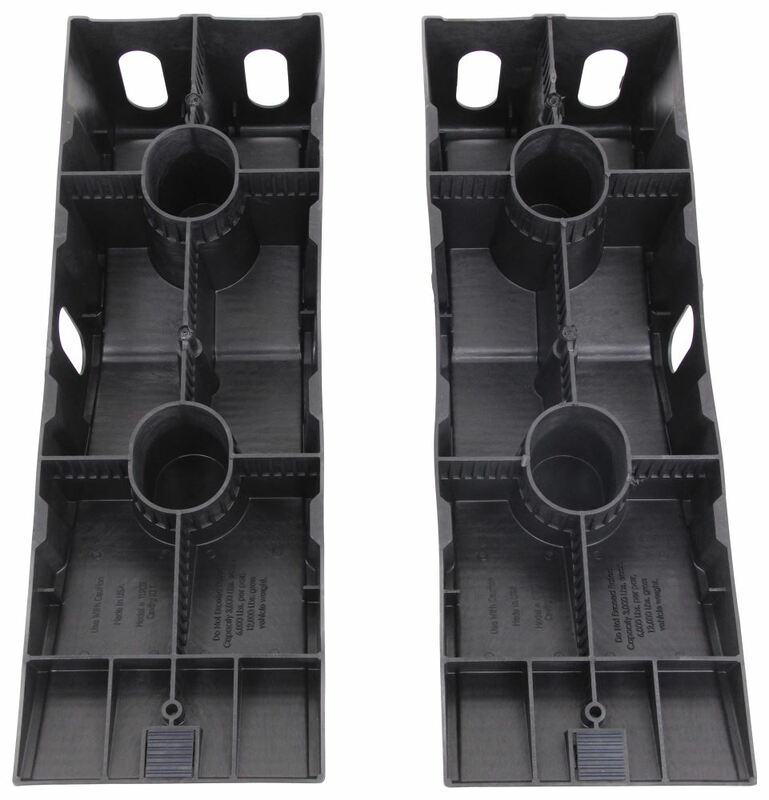 Guaranteed Lowest Price and Fastest Shipping for FloTool RhinoRamps Vehicle Ramp Set - Polypropylene - 12,000 lbs. Car Ramps reviews from real customers. 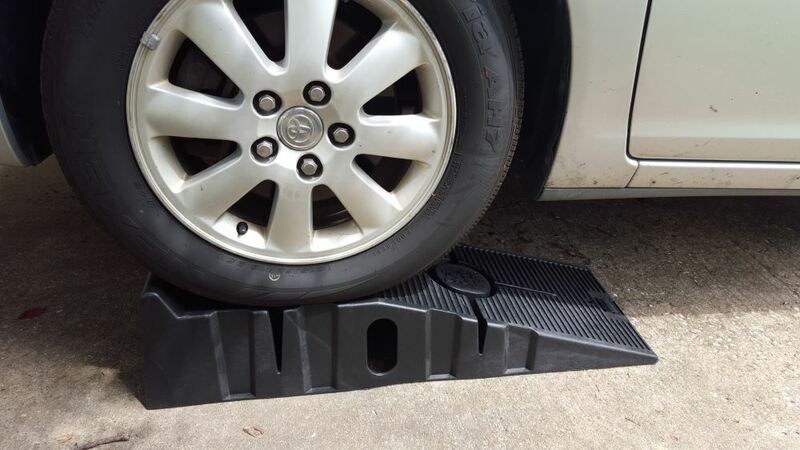 These strong ramps have non-skid feet that grip the ground as you drive-up them to prevent them from sliding. Raised bumpers and a treaded surface ensure safe use. Durable polypropylene construction. Works with tires up to 9" wide. Note: These ramps should not be used to support only a single side of your vehicle, nor should they be used as leveling devices. 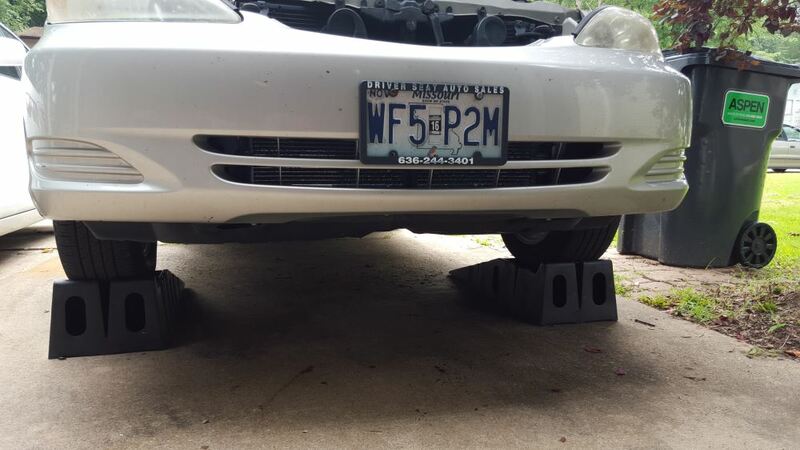 These super-strong RhinoRamps let you easily raise your car, truck, van, or SUV to give you access to the underside of your vehicle for do-it-yourself maintenance such as changing the oil. Don't waste your energy cranking a jack, simply place each ramp in front of your tires and slowly drive up them. 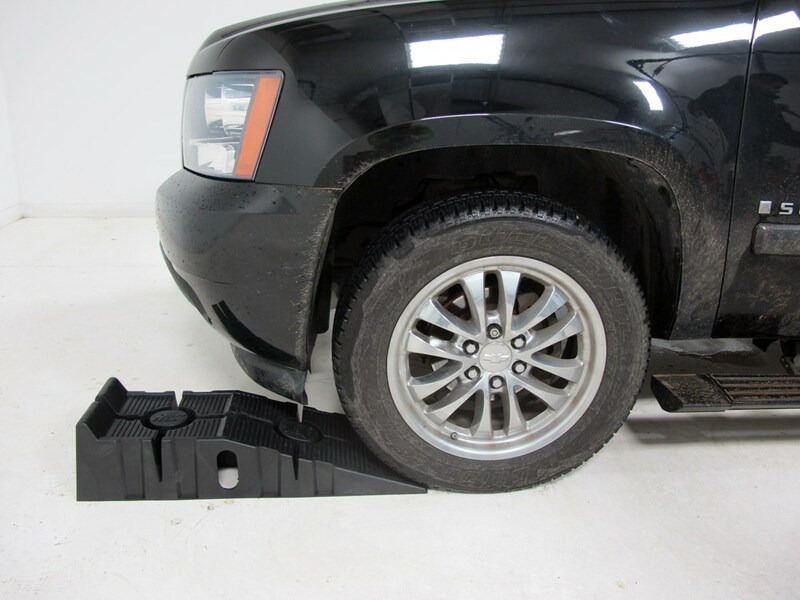 With these versatile ramps you can raise either the front end of your vehicle or the rear end to help make any undercarriage work easier. 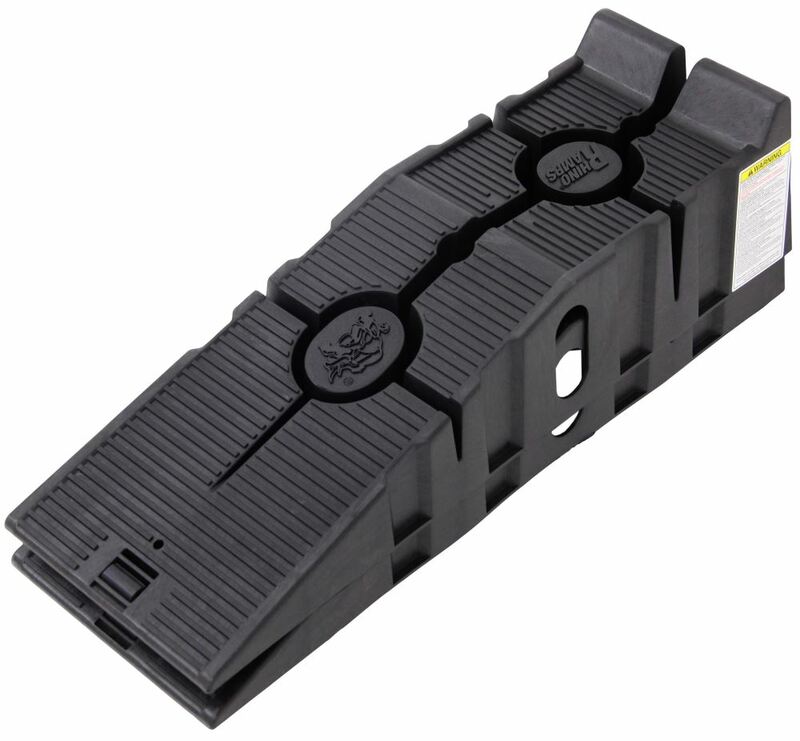 Plus, the gradual 17-degree incline is ideal for most vehicles that have low ground clearance. With this gradual incline, your vehicle will not bottom out as you drive onto the ramps. These drive-up auto ramps should be used on hard, level surfaces only. 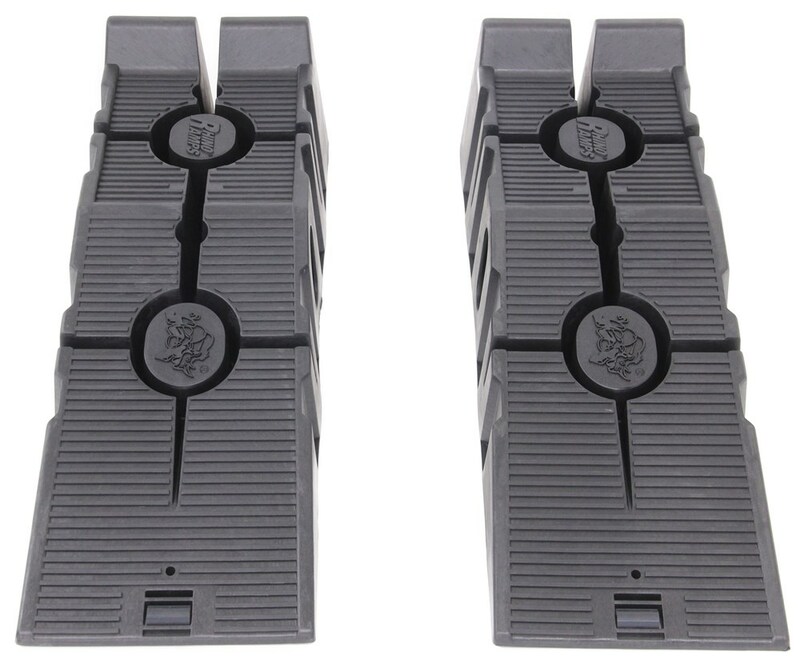 The ramps should always be used as a matched pair to support either the front end or back end of your vehicle. 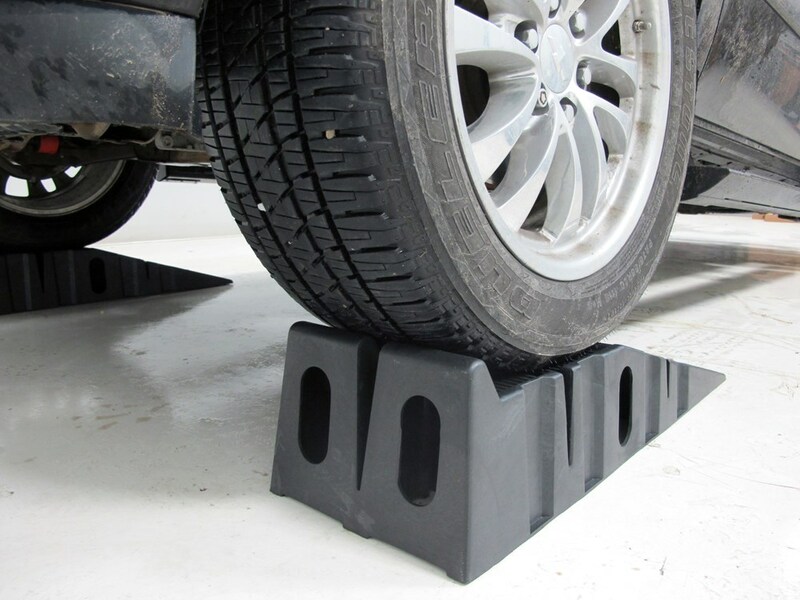 Wheel chocks (sold separately) should be used to secure the tires that remain on the ground. 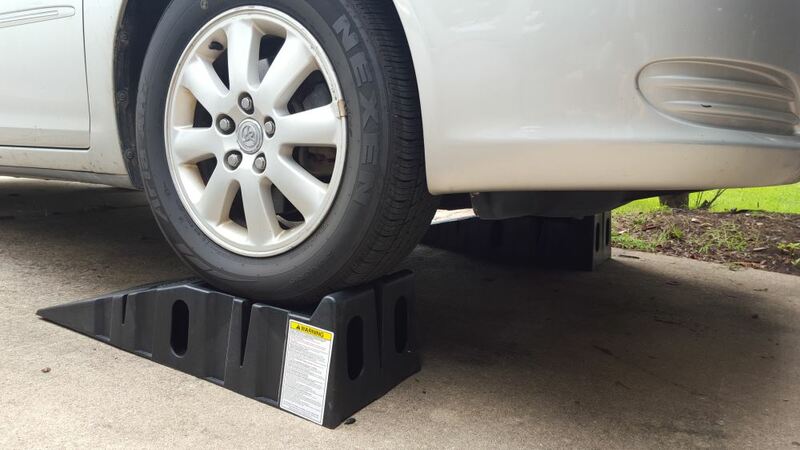 These RhinoRamps have built-in safety features including non-skid feet, raised bumpers, and treaded surfaces - all designed to get your car up the ramps safely. 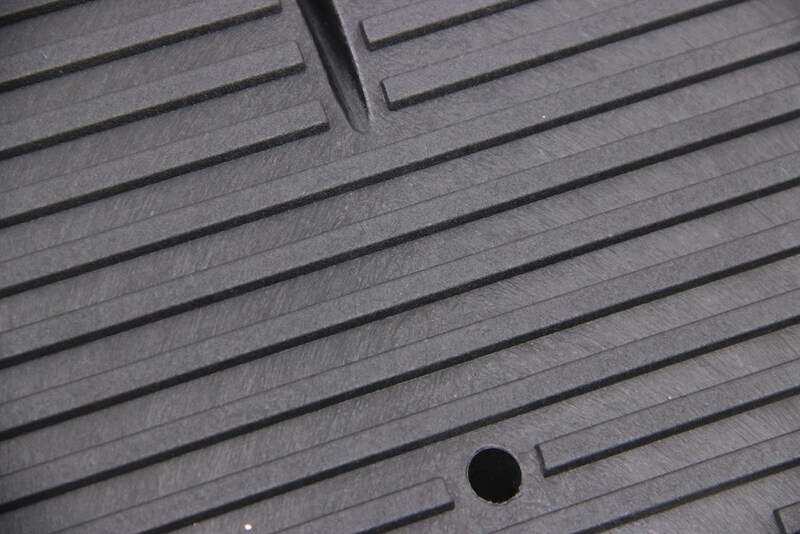 A non-skid rubber foot is located underneath each ramp to help prevent the ramps from sliding. 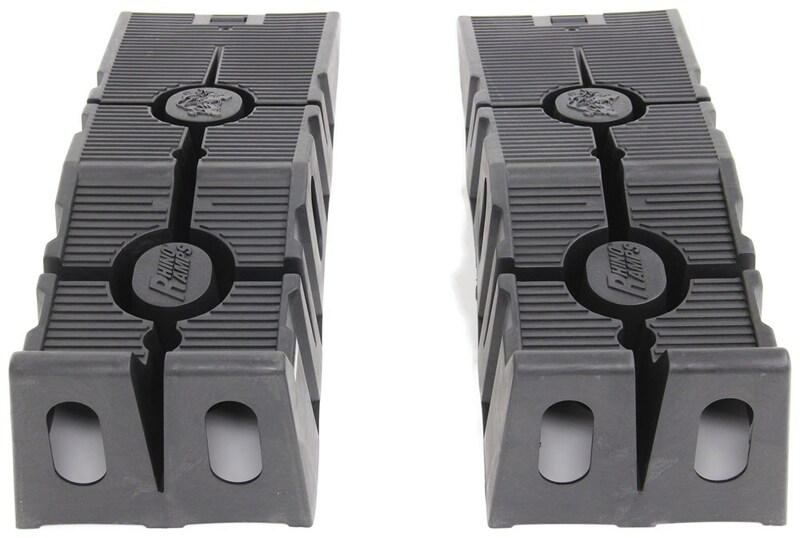 As you drive your car up the ramps, these 1-3/4" x 1-3/4" ridged feet firmly grip your driveway or garage floor, providing anti-skid friction that helps keep the ramps in place. 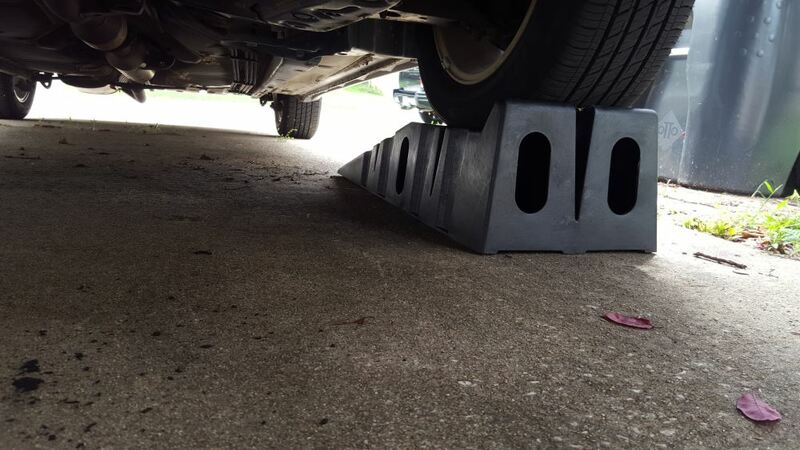 Raised platform bumpers help to keep you from driving off of the ramps. When you feel your tires hit these 2" tall bumpers, you'll know that you've driven as far onto the ramps as you can safely go. 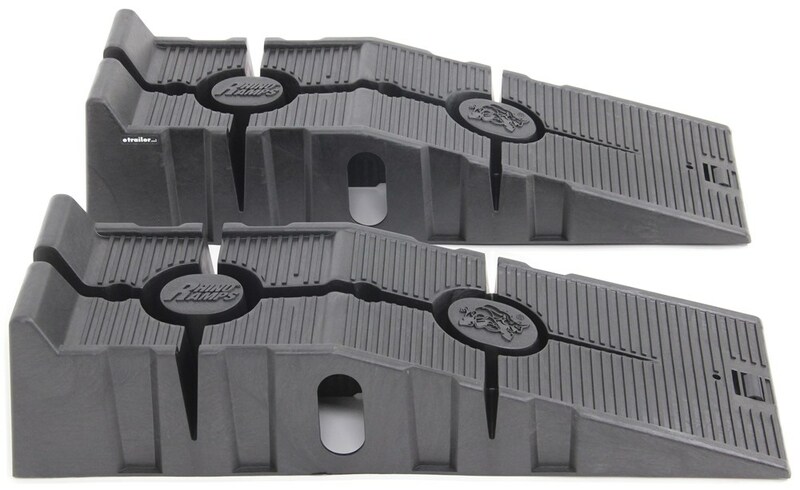 Treads along the entire ramp surface help provide traction so that your tires won't spin as you drive your car up onto the ramps. RhinoRamps are made out of durable polypropylene and are structurally designed to be as strong as steel so that you can use them with confidence. 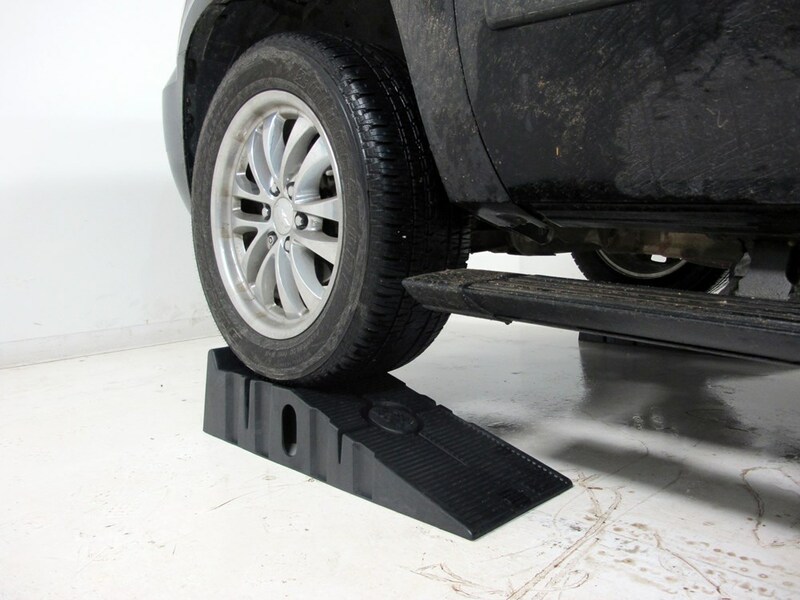 When used as a pair, the ramps can support a car, truck, or SUV with a maximum gross vehicle weight (GVW) of 12,000 lbs. 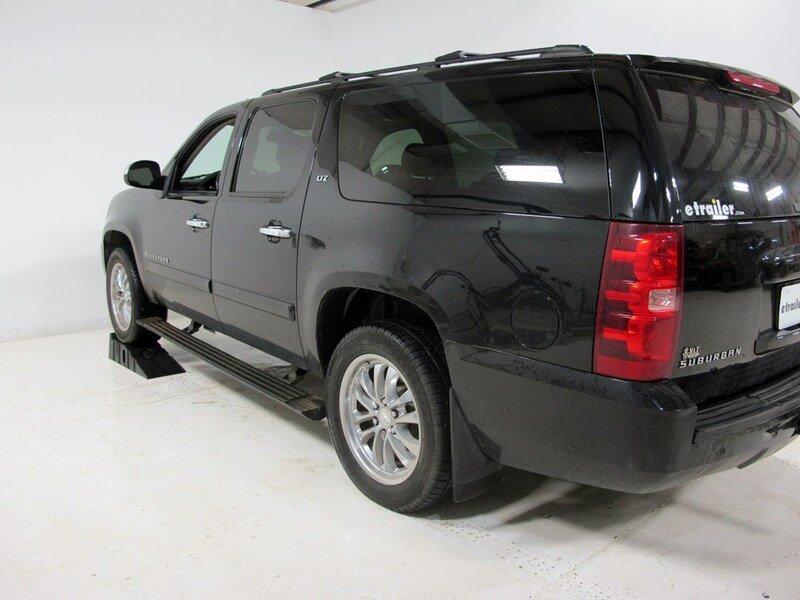 (Refer to your owner's manual to determine the GVW of your vehicle prior to using these or any other set of ramps.) 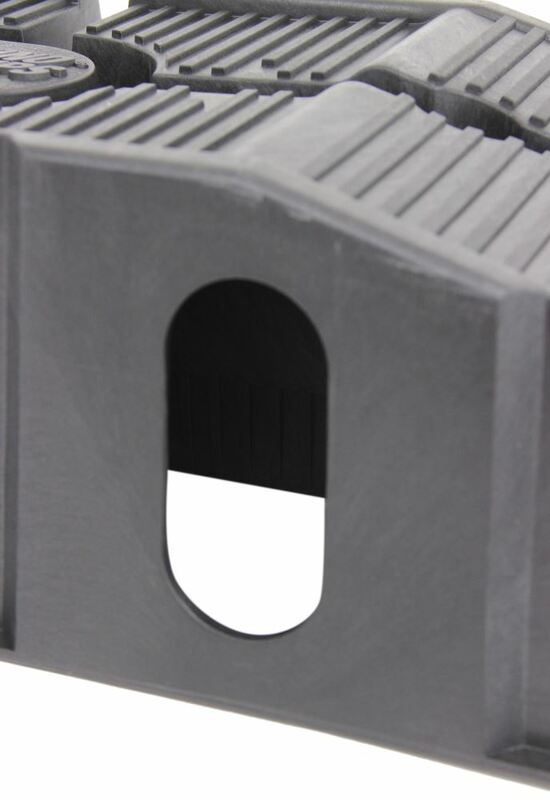 Unlike metal ramps, RhinoRamps will not rust or corrode over time, and their black color won't fade in the sun. RhinoRamps have a nestable design, which means that one ramp fits inside of the other for compact storage. 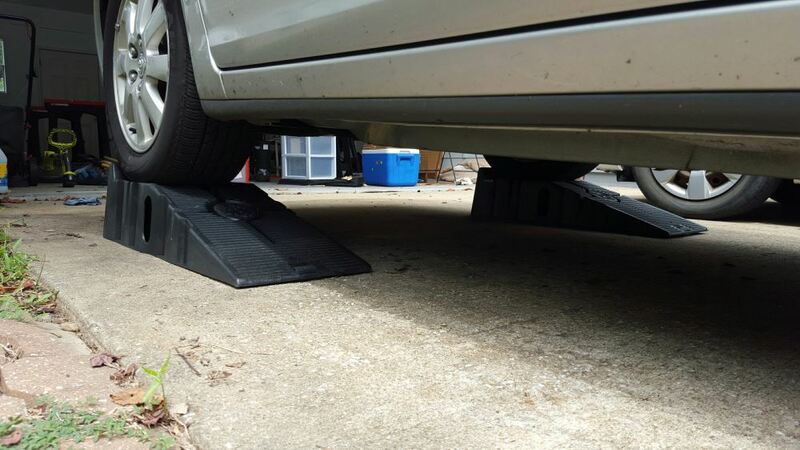 Unlike other ramps, the nested RhinoRamps take up less space in your garage or shed. After the ramps are nested, prop them up against the wall or hang them up out of your way. RhinoRamps are lightweight and easy to carry. The ramps weigh only 16 lbs as a pair - that's just 8 lbs each. 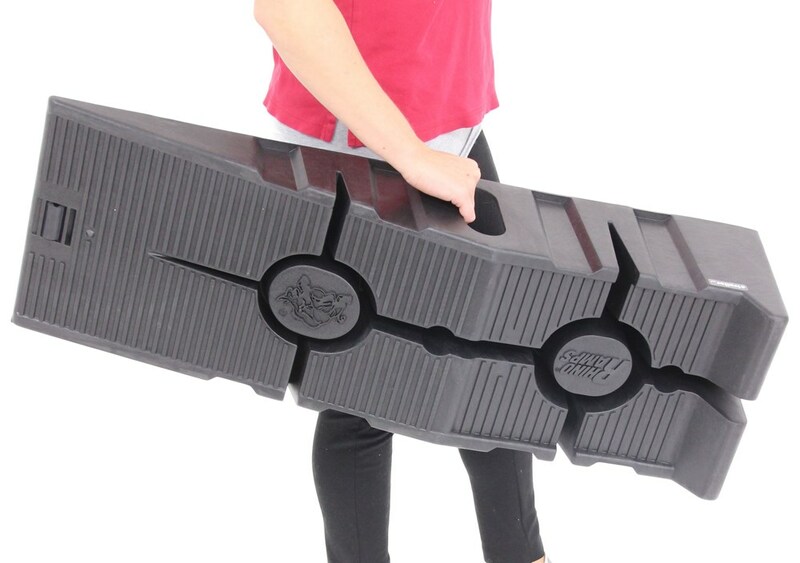 Grab handles are located on both sides and on the back of each ramp so that you can easily pick up each individual ramp, carry it to your vehicle, and position it next to your tires. 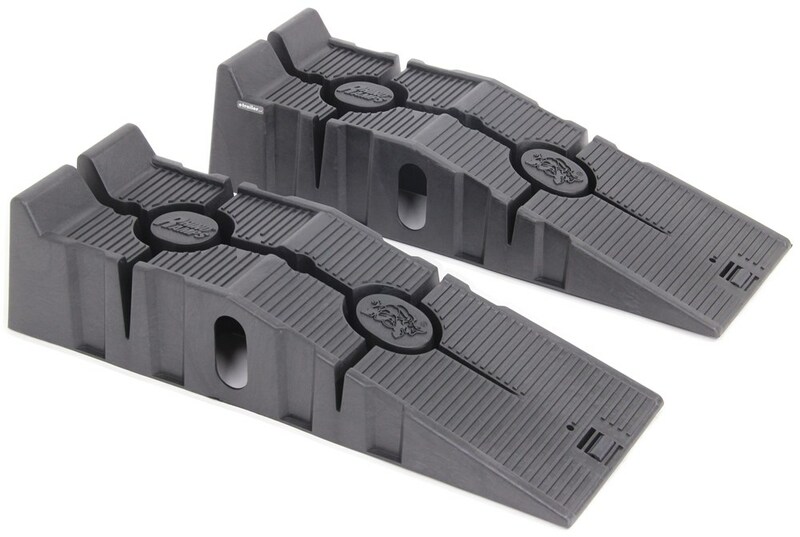 These strong ramps have non-skid feet that grip the ground as you drive-up them to prevent them from sliding. Raised bumpers and a treaded surface ensure safe use. Durable polypropylene construction. Works with tires up to 10" wide. 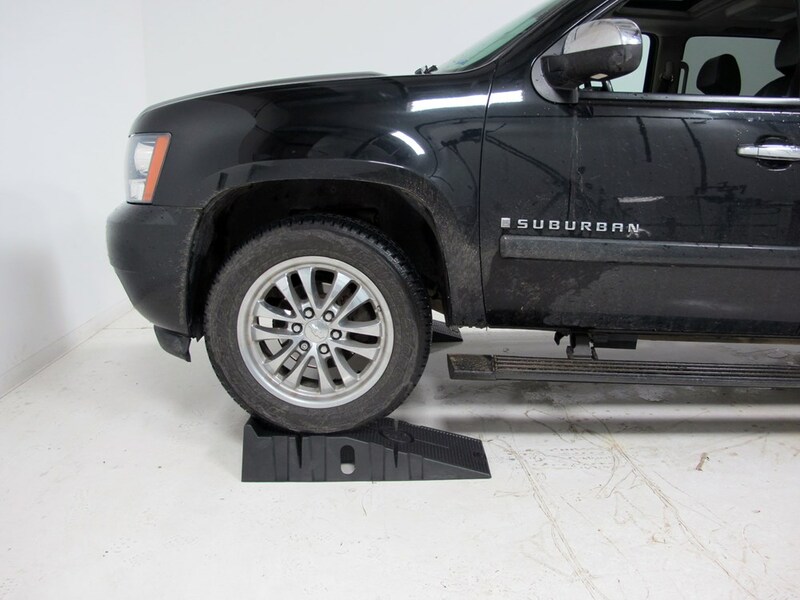 10" Tall x 77" long combo ramps let you lift your vehicle for service or display. Wheel cribs can be used in conjunction with car dollies to maneuver your vehicle while off the ground. Fit tires up to 10" wide. Speaker:	Today we're going to be taking a look at the FloTool RhinoRamps. 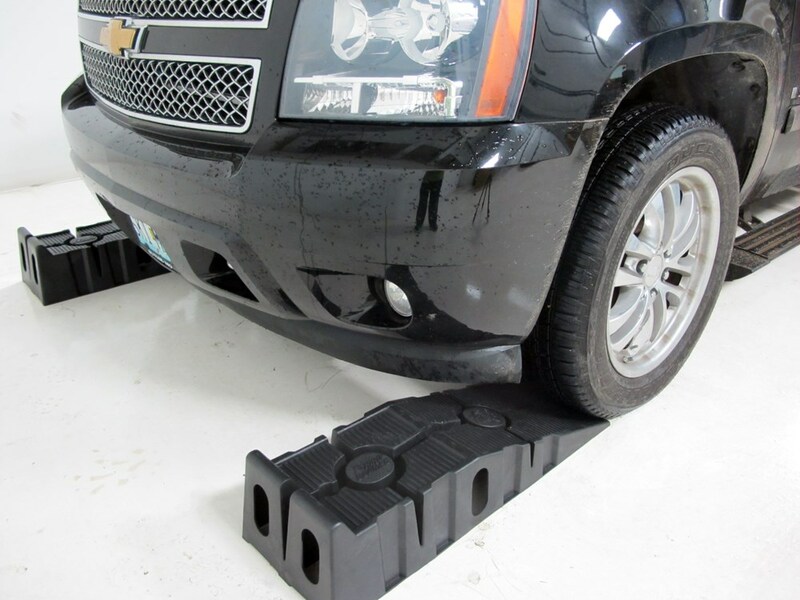 These polypropylene vehicle ramps have a 12,000 pound weight capacity. The part number is FT11909MI. This is going to give us six and three quarters worth of lift for the front or rear of our vehicle, wherever we decide to use it. As you can see we've got a gradual incline here. It has rims going across to give us superior traction as we're trying to get our vehicle up on the rack, and that gradual incline, makes this work out perfectly even for the cars that are lower to the ground and have low clearances; it's going to help prevent these from bottoming out. On the bottom of each ramp we're going to have a rubber pad. That's going to prevent that sliding and things like that that we're used to with the older steel-style ramps. We're going to have the bump-stops here in the front. That's going to prevent us from driving off the end of our ramps as we're driving our vehicle. 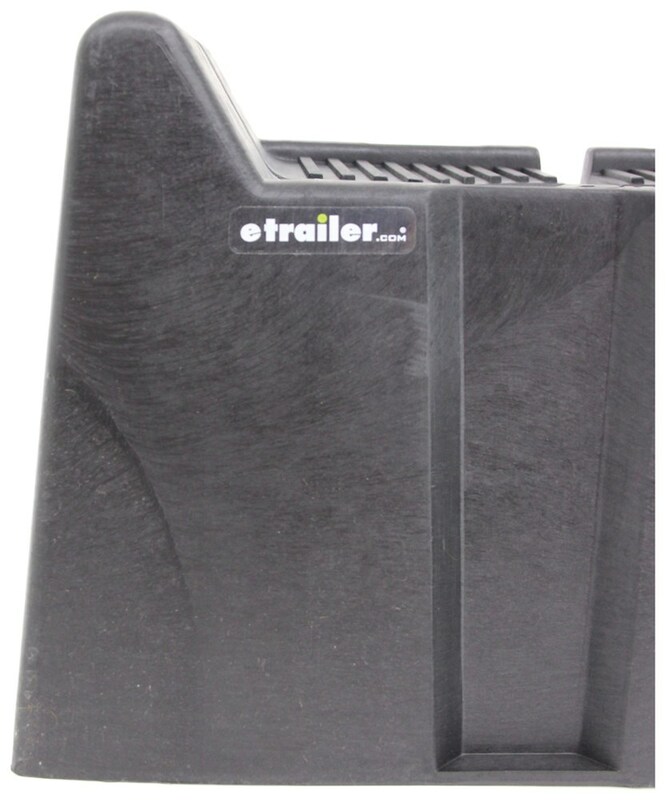 These do have a nestable design so when not in use we can stack one right on top of the other one, taking up less room and less space in our garage, and also making them easier to carry, you have a couple of hand-holds here on each side and also on the end to make transporting them easier. We're just going to place on in front of each of our tires. Now with those in place, we'll drive right up on it. As you can see, this gives us the additional space we need to do any repairs necessary. 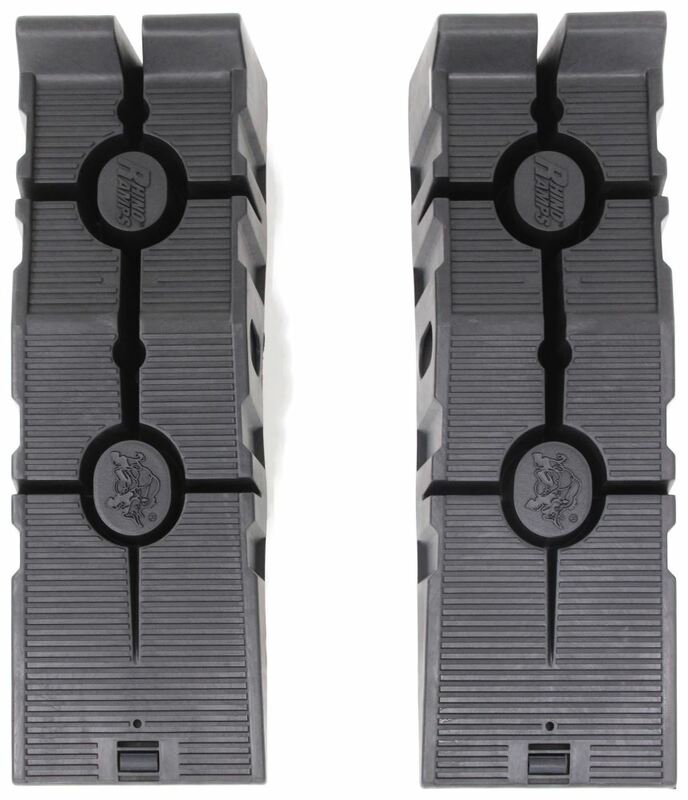 That'll complete today's look at the FloTool RhinkoRamps part number FT11909MI. .
Order: RelevanceNewestRating - High to LowRating - Low to High These strong ramps have non-skid feet that grip the ground as you drive-up them to prevent them from sliding. Raised bumpers and a treaded surface ensure safe use. 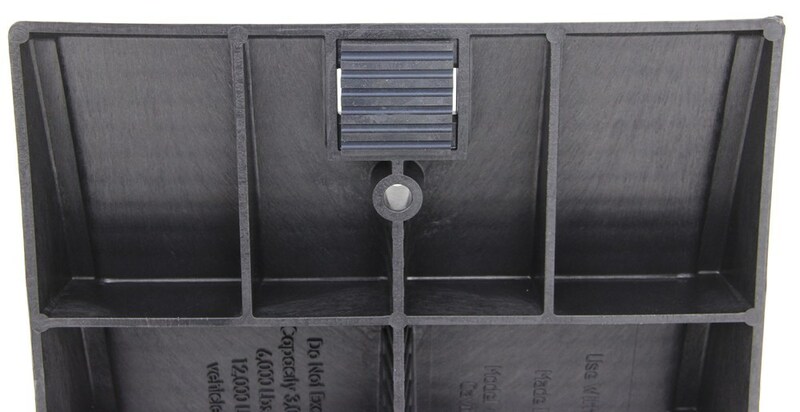 Durable polypropylene construction. Works with tires up to 9" wide. 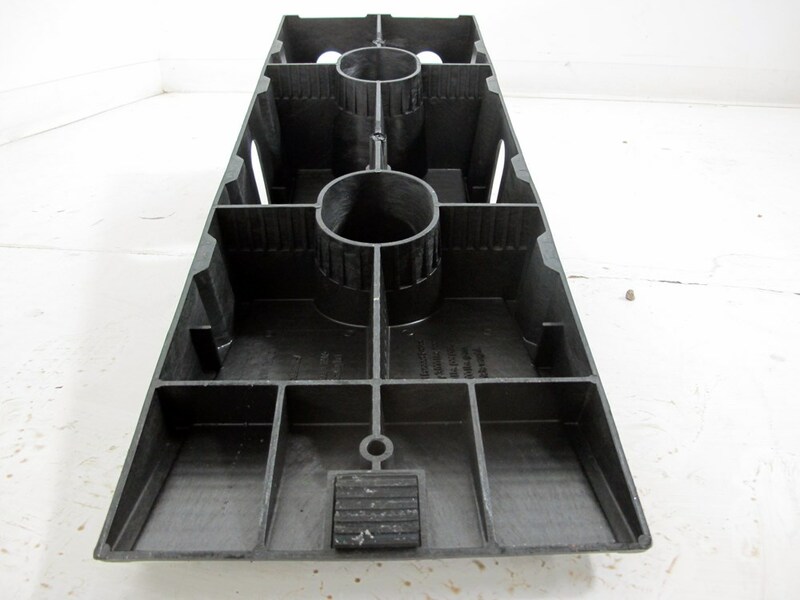 Can FloTool RhinoRamps be Used With Jacks? The FloTool RhinoRamps # FT11909MI can be used to raise your vehicle and work under it but should not be used along with jacks. If you use the ramps to lift the front, for example, you would need to keep the rear wheels on the ground and use wheel chocks such as # FT11930MI to secure those wheels. I've added links to video reviews of both products for you to take a look at.